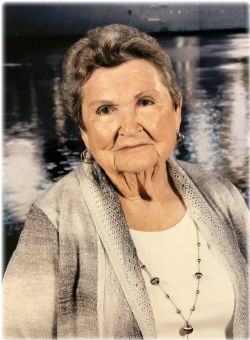 Annie Jo Middleton Rollins, 88, of Conway passed away on Wednesday, August 8, 2018. She was born March 1, 1930 in El Paso, Arkansas to Clea Shelby and Grace Ramsey Shelby. She was preceded in death by her parents; first husband, Delford Middleton; three sisters, Valrie, Vera, and Lovie; two brothers, Wilburn and Chester; and grandson, Scotty. Annie and Delford farmed and had a dairy for many years. She also worked for Rebsamen Motors in Jacksonville and FMC in Conway. She was a member of Antioch Baptist Church. She volunteered at the Conway Senior Citizen Center and the V.A. hospital in Little Rock for many years. She was a member of the Order of the Eastern Star. She was the past State Commander for the Disabled American Veterans Auxiliary (D.A.V.A.) and past Commander of the local chapter for several years. She enjoyed gardening, traveling, and taking cruises. She loved people and enjoyed life. She lovingly cared for her family as a loving wife, mother, grandmother, great-grandmother, and great-great-grandmother. She will be greatly missed. 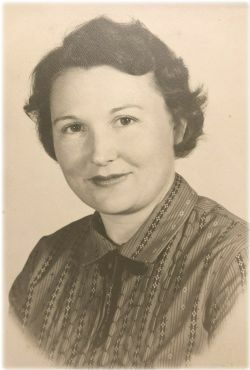 She is survived by her husband, William Rollins; two sons, Gary Middleton (Lynda) and Jeremy Middleton (Lindsey); two daughters, Linda McElroy and Tena Middleton; nine grandchildren, Gary Jr. (Dee Anne), Amanda (Jeremy), Cathie (Billy), Doyle Jr. (Jenny), Sherry (Ronnie), Melinda, Carrie (Jeff), Richard, and Maxwell; 19 great-grandchildren; and 13 great-great-grandchildren. Visitation will be from 6:00-8:00 p.m. Saturday, August 11, 2018 at Roller-McNutt Funeral Home in Conway. Funeral service will be 2:00 p.m. Sunday, August 12, 2018 at Antioch Baptist Church in Conway. Interment will follow at Crestlawn Memorial Park. Click Play below to view the Video Memorial for Annie Jo Middleton Rollins. If you would like to order a DVD copy of the video, please contact the funeral home at (501) 225-0818.